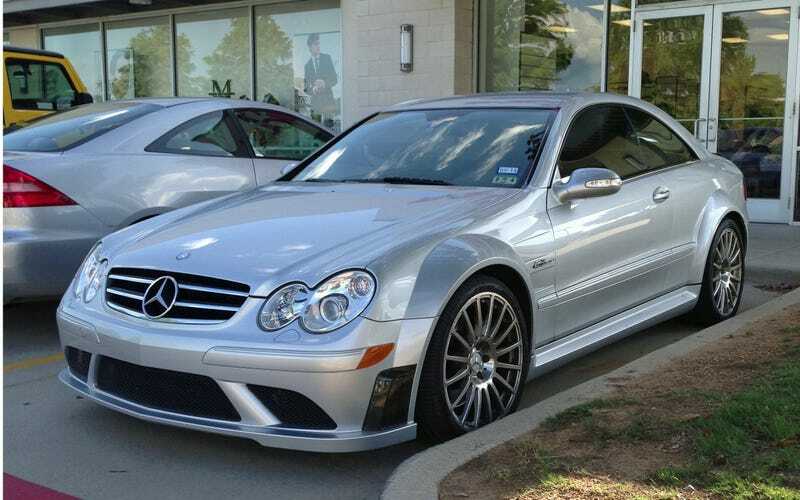 As I eyed my most recent “spot in the wild”, my mind was adrift in a wonderland of flared wheel arches, carbon-fiber splitters, and waves of “I absolutely dare you” aggression pouring out of the CLK63 AMG Black Series brooding in front of a café. I was DTM dreamin’…. And all of a sudden, I was sitting behind the wheel. The owner noticed my enthusiasm, and decided I was worthy to go for a brief self-directed, high-speed jaunt through the back alleys of the parking lot. Just my luck, as I had a movie to catch in 20 minutes. But what kind of lunatic refuses a chance to pilot a Black Series? As I pulled the car around the corner of the loading bay alley, I stood on the throttle. Immediately, I realized I had stepped into unfamiliar automotive territory. With a rear-end shimmy and a guttural roar, I was ripped from my safety bubble that had become accustomed to all-wheel drive thrust and sanitary performance, what with my excursions in the 997.2 Turbo and Gallardo flinging me to unsafe speeds without a whiff of wheel spin or argument from the chassis. This was nothing like that. No, this was a dangerous game. This was a car to be feared. Knowing this, what did I do? Why, I stepped on the tiger’s tail, of course. The CLK63 AMG Black has that simply intoxicating duality I have only previously found within the sublime 997.2 Turbo. Think business man with an anger issue; it wears a suit for all occasions with A/C, smooth automatic transmissions, luxurious amenities, and cruise control. You want a fight? The sleeves are rolled up immediately. Drive it to the shops? Sure, just don’t venture past quarter throttle. My time behind the wheel of the CLK63 was hardly enough to even call it a summer romance, but I got my first whiff of automotive savagery that will linger for months to come. But now where will I sate my new-found addiction? Time to start saving my pennies, I guess.